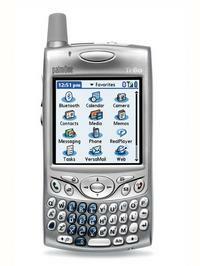 A new lawsuit is being brought against Palm over defective Treo 600 and Treo 650 smartphones. The suit claims the Treo fail at unacceptably high rates, are inherently defective and that Palm has mislead customers concerning the defects. The suit Palza v. Palm was filed in the Superior Court of California, in Santa Clara County. It was filed on behalf of three Treo customers, but seeks to be certified as a Class action lawsuit, so that all Treo users would be represented. The suit mainly claims that Palm has made misrepresentations and concealed information in the marketing, advertising, sale and servicing of its Treo 600 and Treo 650 models. It further states that Palm has been aware for a substantial period of time that the Treos were failing at a very high rate and Palm has not warned its customers or tried to prevent them from suffering system failures and data loss. Extremely poor sound quality and buzzing which is heard by the recipients of telephone calls, which makes the Treo unusable and makes recipients believe that the Treo owner is in a very noisy place when making the phone call (not caused by telephone service provider). Voice choppiness which is heard by the recipients of telephone calls which makes the Treo an extremely poor telephone (not caused by telephone service provider). Speakerphone problems making the speakerphone unusable or seriously impaired. Phone freezes and crashes often causing restarts and lost calls, which often require the use of a hard reset which loses all stored information (not caused by telephone service provider). Replacement of defective Treo 600 phones with defective and/or “refurbished” Treo 600 phones - creating a cycle of defective product - whereby owners continue to receive defective products until either they tire of the process or their warranty runs out. Thanks to GigaOm for the tip. My 650 has been virtually flawless. And you know I'd be the first one to biitch! Actually, in my experience the 600's were very susceptable to problems related to the build quality. Having gone through 5 or 6 of them, the refurbs worked pretty well but still had inherent problems that led to failure. The 650 for all it's design mistakes is built much better overall. There are many people reporting issues with them, but nowhere near the level sustained with the 600's. In fact, the majority of complaints relate to the pitiful memory level and voice quality. We're stuck with the lousy 22MB that's hard-wired into the phone - Palm has somehwat mitigated it best they can with firmware hacks. And the voice quality - at least on mine - seems to be no worse than the 600. Paired with their bluetooth headset that's when the voice quality and range begins to rapidly degrade. At least this lawsuit puts the issues on the table so that Palm can confront complaints it has been vehemently ignoring or deriding it's customers over. If they begin to listen to their customers a little better they might someday bring out a smartphone worthy of the price tag they affix to it. The 600 was a piece of crap - however my 650 is great! Just wish it had more freakin memory...! Great. More good news. Lawsuits cost money, win or lose. So the cost of defending Palm will end up in the price tag of future Palm units. I really get my kicks out of paying for this kind of thing. Gekko, forget it. You are going to have to send it back to them when all Treos are recalled. Treos were designed to be defective, so the unit you have is especially dangerous; it is not working according to design specifications. It's a good thing that these people are here to protect and represent you. "Mr. Gekko, put your Treo on the ground and move away slowly." My 600 (bought used from a friend) also works flawlessly. I think it's about a year and a half old now. I have been using it for over 6 months with no problems. No problems with sound quality or build qaulity; i don't even find the camera that bad for what it is. Mine is branded PalmOne, but installed a Handspring folder, don't know if that makes any difference to anybody. ...yeah but at the end of the day their sell is to business people. Business people who are actually busy trying to do their business and who dont have time (or interest) in downloading patches so they can have more than a couple of programs and so the thing doesnt reset half way through a phone call....who expect a simple thing like a speakerphone to actually work. Question. Every few days, for no apparant reason, while using a variety of programs, some of which came with the 650, my 650 crashes, and while I lose all personal information, the 3rd party programs I put on are still there. So, in other words, all registration data, for example, for a 3rd party program is gone, but the program itself is still there. My question is: is that a hard reset or a soft reset, or something else? (Note: I'm not asking how to fix it...I've given up on having a flaw-free Palm product). KENCVA: use a backup-to-card app and backup your device each night (automatically, preferred). I recommend Backup Man. Then, when you notice your reg'n info is gone from one or more apps, restore the "Unsaved Preferences" and "Saved Preferences" files from your last backup. I, too, have to do this on occasion. Got to say, the Treo 650, dropped a few times, still works like a charm. Occassional soft resets, but otherwise no problems. I downloaded the Verzon-specific update a few weeks ago and the number of crashes has decreased greatly. Also used a backup program every day, which has greatly me time when it does crash. Most of the crashes now seem to occur from the Versamail program. Speaking of which, Palm has issued an update for Verizon 650s (see http://www.palm.com/us/support/downloads/treo/treo650verizonversamail.html). BUT, I never kept the CD sleeze that came with my Verizon 650, and, thus, can't download from this site because I don't have an ID number. I'm willing to even pay for the update if decreases further my Treo 650 crashes. I can't find Versamail 3.1 anywhere for sale. Can somebody point me in the right direction? Thanks. We live in a free world. If your buddies tell you the phone is crap, don't buy it. If you bought it and don't like it, return it. But the Treo is *hot*... every one recommends them, everyone wants one. Yes, they're pricy, but not *too* pricey, or else they'd not be fricking selling like hotcakes and totally dominating the market. But suing? That's got to be the work of some dumb shmuck at micro$uck. Actually, we live in a world where you can be a lawyer and sue the dickens out of anybody and everybody in order to make a buck off of the process. I don't think this is a MS employee wanting to do this for platform sakes, but some money grubbing individuals. I've been reading this pdf, and it's actually amusing to me. He is demanding Palm to stop selling any Treo 600 or 650 by Aug 23, recall any outstanding Treos on the market, for Palm to pay back all purchasers the purchase price of their Treo, to pay ADDITIONAL money to the users for damages, including punitive damages of 5 times the purchase price! Palm refused to agree to these demands, (there would be no more Palm for us to talk about if this was the case) and the plaintiffs "do not wish to engage in formal litigation," but are forced to. Give me a break, they were looking to file a suit to make some easy money. You got as far as I did with the PDF complaint. Its quite a shame really. If they actually identified more than just the rate of returns for a non-specified number of users (heck at least quote a number from a well traveled web forum), then it would have some more merit. The 600 I have is second hand and works great. Most folks I know have a problem because they dont read the user manual, not because of the hardware. Those that have had recurrent hardware issues, I understand the angst and am with them, Palm should do better. But if you expect anything created by man to work right 100% out of teh box all the time, then you are in for a shock. rather, expect it to work, and iof it doesnt, exhaust your options in getting things right. This isnt an option in my opinion, its a smear. And not a good one. This is an example of where tort reform could really help; reduce the prevalence of retarded/unfounded lawsuits like this one that are motivated simply by someone trying to make a buck offa the system. But why, oh why, does this sh1te only seem to happen to Palm? Windows Mobile would have fixed all these problems in the first place. The stuff cures cancer and warts too. The plaintiff's lawyer is probably vastly overreaching on the terms, so that Palm will have more incentive to settle for something like a $50 refund to owners of defective Treos. It's commonly practiced by DAs who want a plea-bargain: make the risk of going to court so great that the defendant has little choice but to make a deal. Speak for your country not for the world; not everywhere is like that. Maybe you live in a country - the USA - where you can be a lawyer and sue the dickens out of anybody and everybody! From my observation in the UK, this type of legal action is virtually unheard of. Maybe in the UK these matters tend to be resolved before people resort to the courts. Maybe it's because going to court is neither a cheap nor trivial process in the UK. Maybe the trade laws give consumers greater protection and rights than in the USA. Maybe people in the UK just don't care as much! Wow - being a little too Palm focused in your critical analysis of the world of smartphone technology aren't you? There are already plenty of crap Win Mob smartphone devices with many a problem. Not one of them sells anywhere the number of the Treo of course - so we don't here such a loud chorus of complaints. Crappy sound? Try the mpx220. Dropped calls, and *god awful* build quality? Try the truly awful VOQ thing with the folding keyboard (my work made me use one for a month and i am still traumatised by the experience). And there are many more problems in win mob land. As somebody above said: if the Treo 600-series stinks so bad, where are all the Win Mob Treo killers we were promised? I mean, C'mon - they've had over 2 frkin years! But this is PalmInfocenter after all - so let's get back to bashing Palm and praise thee coming ascension of Win Mob! Ive actually had an XDA 2 for a year. I use these things as a PDA with GSM functions. I did not mean to imply the problem are due to Palm, but that a change of OS will bring its own problems. Many Palm users who are down on POS seem to think they will not need to buy any third party software under WM, whereas I think the very good quality of third party software under WM is actually the main advantage. In the end it will be for the better (despite transitional problems and the hype cycle) though, as it will bring the device on a much more solid OS footing. > Ive actually had an XDA 2 for a year. I use these things as a PDA with GSM functions. OTOH, if you had the same problems with your XDA II as one of my partners had (before he smashed it), I wouldn't blame you for carrying around the Loox as well. A trio sues a Treo? 3 chicks at once, man. I'm not a fan of needless litigation, but would have gladly supported a T1/T2/T3 suit over the dreaded digitizer drift. I went through my original T1, three refurbs and one T2. The digitizer on all of them eventually started to fail to stay calibrated for any reasonable length of time (i.e., every time I used it I had to calibrate it). Maybe this will force Palm to stop releasing Beta versions of PDAs. I returned my 650 after wasting 20 hours with the data mangler patch. Maybe Palm will find it financially viable to make sure the things work properly before they're released. I'm hoping some new player can step up to the plate and release a robust OS5 phone. There are some pretty sweet Windows phones out there (never used one). Why can't we have just one really nice Palm phone? Nice= clamshell 320,480, virtual Grafitti 1, 64 or greater MB RAM, 2 SD slots, a big battery. She now has a Treo 650 (bought over my objections) and this thing resets a dozen times a day. Yes, she is at current firmware and has NO additional software on it. The piece of %*^$ has had more hard resets then all more previous PDAs combine. My wife has her own company and lives and dies by voice and email access. The device is basicly a brick for at least half her day. I've had dozens of PDAs since the HP95LX days including Newton, Psion, Palm, and various PocketPC units. In my experiance (FWIW), I have never seen such poor build quality (hardware and software) in anything that advertises itself as a "business tool". More of a Happy Meal(tm) toy then a robust tool. Despite internal docs, as long as people ask for phones with increasing feature sets and configurations, there will be issues. WinMob phones are in no way more stable, just as many issues, if not more. It seems more on the PalmOS side because there basically is only the Treo series. Not an excuse by any means, but it does magnify the perception. The comment about customers being beta testers, research every consumer product since the industrial revolution. Every product is a beta; whether it breaks on you or not makes it a better or worse beta. Betas, by defination, are programs designed to provide final validation of the product from an engineering, manufacturing, and customer service standpoint. The reoccurring Treo issues should have been caught (and resolved) long before that point. If the product shipped in spite of those issues, either Palm DVT and QA is clueless, or they didn't care and figured they would take their chances. There is an inherent expectation of suitibility to perform as advertised based on product specifications (as well as marketing collateral). If the air conditioner on my Lexus stopped working multiple times a day, the manufacturer would be hard pressed to say too bad, it only works well when the temp is below 75 degrees. There is also the issue of "Refurbished" devices. There is a reasonable expectation that a refurbished device will resolve the issue found on the device it is replacing. If the same design or manufacturing flaw exists, and the refurbished device is just re-shrink wrapped and recycled, then there can indded be some serious repurcussions. Treos have always had reliability issues. The 180's, 270's, and 300's were all problematic when first released. My 270 was replaced within the first month and then again about a year later by Handspring. Then I gave up on it a few months later when the battery wouldn't last through a ten minute call. YEOW!! WiunMob Treo 700w OUTED! RE: YEOW!! WiunMob Treo 700w OUTED! You windows haters crack me up. I'm sure you look trendy with your Ipod, non starbucks coffee and VW passat but the truth is, it's a better OS. My 650 reboots or locks up at least 3 times a day. My Windows Mobile phone didn't do it once. Get over your trendy Micro$soft attitude and while your at it, take your John Kerry sticker off. You lost already. my treo has had several problems. ... so how do we get involved? and what do we get out of it? perhaps a treo that is reliable? I've been through three LifeDuds in the last three months. All with the same digitizer problems - among other things. "creating a cycle of defective product - whereby owners continue to receive defective products until either they tire of the process or their warranty runs out." This sounds frighteningly similar to my current experience. I have been able to demonstrate that the LifeDuds have the digitizer problem out-of-the-box. I have supplied Palm with screen shots, but still I have to go through the motions of performing secure erase after secure erase. Followed by, please install third-party applications one at a time to help identify which one is causing to problem. What really annoyes me is that Palm must know that this is not caused by third-party apps. But they still waste my time by making me jump through hoops. It's been over 12 weeks, I've been through 3 LifeDuds, sent over 35 emails to Palm support, plus numerous phone calls, and I still don't have a working LifeDrive! And Palm refuse to refund my money. I have returned each LemonDrive with several screenshots and complete instructions on how to test the device. I knew within 5-10 min from opening LifeDud 2 and 3 that they had the digitizer problem. The Palm engineers have had LifeDud number 3 for five days now and I still don't know what the outcome is. What exactly do I have to do to get Palm to send me a LifeDrive with a good digitizer? I've been a satisfied Palm owner since the original Palm Pilot (geez how many years ago was that? ), but these last three months has really damaged my trust. Please refer to the following threads for my thoughts on the matter (all here on PIC). You'll also find feedback from similarly frustrated LD owners who are long-time Palm fans/users. These kind of problems cannot be attributed to n00bs or not knowing how to migrate their data to a new device! Painful as it may be, it may take a kick in the teeth like a class actioner to make them wake up. I am actually currently following the recently-concluded litigation against Verizon Wireless for crippling (and subsequently misleading their customers) the Bluetooth capabilities on the Moto V710. I have used palm for years and waited for a high end product for them. I thought that I found it with the TREO 650. I was not only mistaken, but , for the first time in my life, wondering if a company was seriously trying to rip off it's customers by pushing a product that was not ready and tested thouroughly for the market. I purchased a my TREO 650 in May of this year and have since then gone through 3 of them with much frustration, anger, confusion and wonder. Each replacement came with a new problem. The one that I have now, the touch screen does not work. My question is- now what? what do I do? Join the Lawsuit? As far as I am concerned, I am out of $400.00 and pissed off every time I read a report of Palm releasing a TREO 650 with a Windows operating system. To all future purchasers of this product- you are buying a status symbol. Period You will get it inm a nice box, and if you are lucky, it will work without a problem and you can brag to your freinds and coworkers that you have a $400-$500 phone that takes pictures and fancy things. Right now, mine is a paper weight. When I read all this - i get a feeling that people are arrogan,stabborn, and sometimes stupid. I just don't understand it - Is somebody forcing you to use Treo? or any other specific product in particular?? I still don't think that failure rate is so high, Since all treo users i know have no complains, But let's just assume that (hipotethical assumption) that _every_ single treo is defective. So why hurt yourself exchenging it over and over and whinning all the the time ? Just don't buy it, you have hundreds of choices of cell phone capable devices out there. For example, I don't like Garnet implementation due to million reasons. I've tried T5 , saw LD in action, and I'm 110% sure I won't buy any garnet device (not untill P1 give me at least 12mb dynami heap back). So I just don't buy it and that's all. Why all the fuss? All these lawsuit cases are getting rediculous. I've read many times, that , for example medical doctors in US have vary tough time lately, and many of them are sued for no reason.